Laurelhurst Craftsman Bungalow: Demo Begins! 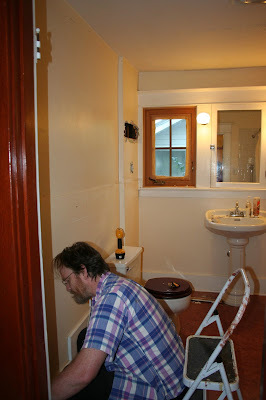 I guess Jeff was in the mood to get started, because he just began demo-ing the bathroom! Weeee! 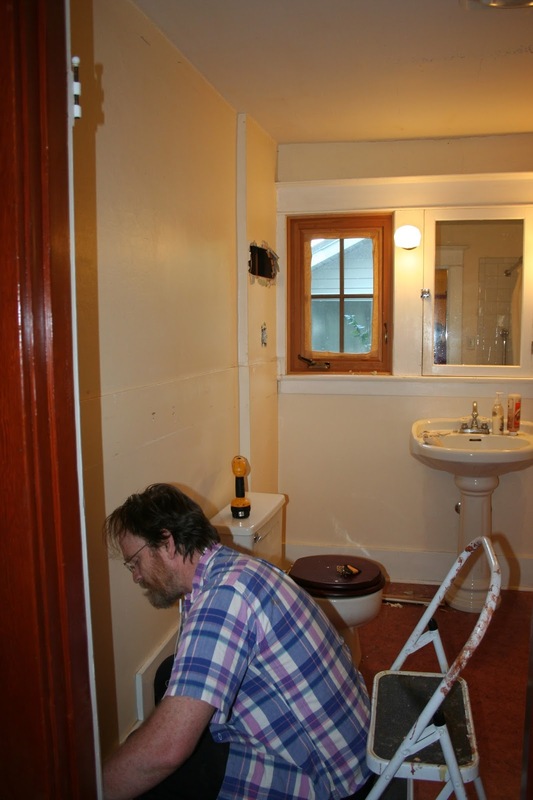 We hired a tile guy today and there wasn't anything else holding us up (except inertia). It started with wanting to look in that little bump out to see if we could get rid of it. 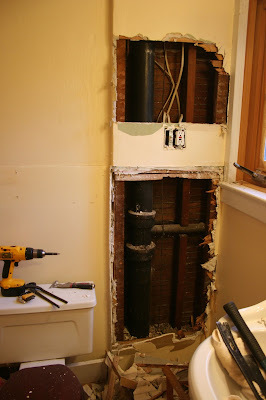 I'm expecting the plumber can replace the 4" cast iron vent pipe with a thinner modern PVC pipe. I also managed yesterday to finish taking apart the 3 Roman shade panels. What a tedious project that was; took me nearly 2 hours apiece. 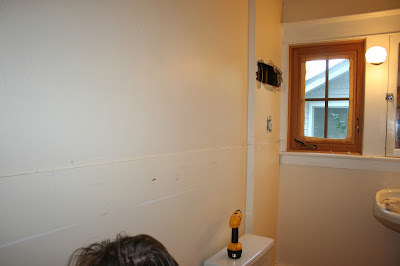 Once my sewing machine is set up again I'll figure out how to adapt those panels for use in my sewing room. I'm actually sort of thinking about just turning them into curtains, rather than shades. I'm not entirely happy with the Roman shades as the plastic ribs you use on them get brittle pretty quickly and I don't think they'll last all that long and I'll have to revisit the project in just a few years. I'm sort of lazy, I'd rather make curtains that can hang in there for many years.